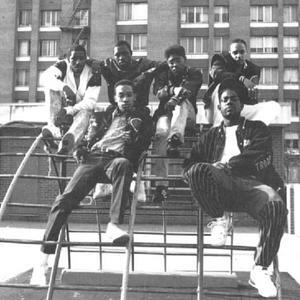 Stetsasonic was an American hip hop group formed in 1981 in Brooklyn, New York. They are remembered as one of the first hip hop crews to use a live band, and their positive, uplifting lyrics have made the group forerunners of alternative hip hop and jazz rap. The members are Prince Paul, Wise, DBC (the Devastating Beat Creator), Daddy-O, Delite, Bobby Simmons, and Fruitkwan aka Frukwan. Originally, the group was known as the Stetson Brothers, but they changed their name to Stetsasonic for their debut, On Fire, due to their preference of Stetson hats. The album received mixed reviews, though the follow-ups, In Full Gear and Blood, Sweat & No Tears were critically acclaimed. The group broke up soon after the release of Blood, Sweat & No Tears. Frukwan and Prince Paul worked with the Gravediggaz, while the latter also became a well-respected record producer, as did Daddy O, who worked for Mary J. Blige and the Red Hot Chili Peppers, among others.